A recent U.S. clinical study showed a 97% improvement following a full series of treatments, and 100% of the patients reported that they were satisfied with their results. 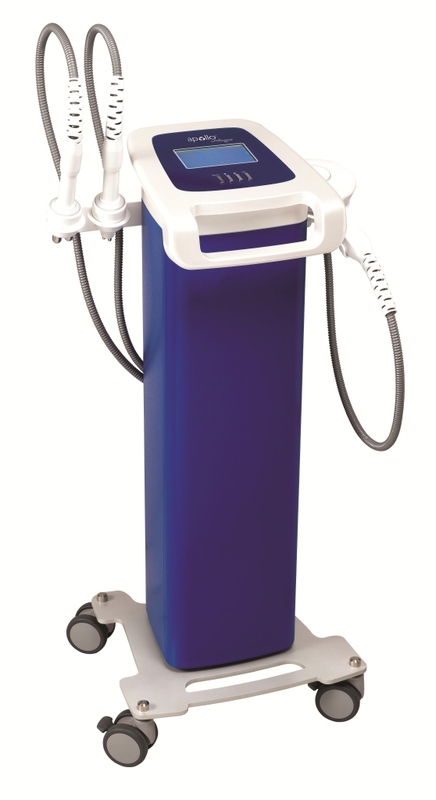 Pollogen, a global leader in the medical aesthetics market, and Lumiere Medical, a premier U.S. distributor of cutting-edge, clinically-validated technologies, will feature TriPollar—the world's most advanced radiofrequency (RF) technology—at this year’s American Academy of Anti-Aging Medicine (A4M) Annual World Congress on Anti-Aging and Aesthetic Medicine at the Marriott World Center in Orlando, FL. The technology is now available in the U.S. via a device called Apollo through an exclusive partnership between the two companies. Pollogen and Lumiere will be located at booth #210 from Thursday, May 17 through Saturday, May 19, where they will feature live demonstrations of TriPollar RF treatments. As the procedure is administered, a cutting-edge thermographic imaging device called the LumiCam will offer visual representation of the Apollo’s efficient heating of the treatment area with its dense and focused energy field. The LumiCam will show skin temperature reaching and maintaining the ideal temperature window for optimal results—between 40° C and 42° C for facial skin tightening and between 42° C and 44° C for body treatments. The Apollo powered by TriPollar is FDA-cleared for the non-invasive treatment of mild to moderate facial wrinkles. The 30-minute, no-downtime procedure has been globally embraced for its off-label use on the body with great success in treating cellulite and circumferential reduction. Unlike its competitors, the Apollo is completely pain-free. TriPollar a¬lso differs from other technologies because it allows patients of all skin types to achieve measurable anti-aging results. 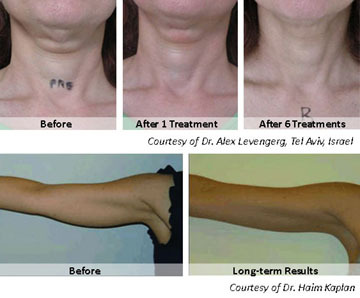 Patients benefit from both visible immediate and long-term results. The immediate effects include a smoother, tightened appearance and texture. Most clients realize the optimal outcome at the conclusion of the full treatment course—a recommended six to eight sessions—with a noticeable reduction in wrinkles and fine lines, body contouring and lifting of the treatment area, in addition to improved skin tone and texture. The safety and efficacy of TriPollar treatments have been proven in multiple clinical studies and published in eight peer reviewed articles. A recent U.S. clinical study showed a 97% improvement following a full series of treatments, and 100% of the patients reported that they were satisfied with their results. For more information, please visit http://www.pollogen.com/Tripollar-RF-Technology/Tripollar-RF-Technology.html or http://www.lumieremed.com. Pollogen Ltd. is a global leader in the medical aesthetic market providing innovative, safe and effective solutions that enhance and expand the practices of medical aesthetic professionals. The company offers products to address a range of skin treatments under the industry’s three premier brands: TriPollar®, TriLipo® and TriFractional™. Pollogen offers a full line of clinically-proven, non-invasive anti-aging facial and body contouring treatment platforms for circumference reduction, cellulite reduction and skin tightening. The company’s medical aesthetic devices, Maximus, Apollo, and Regen XL offer customers clinically-proven, safe and effective anti-aging lunchtime beauty treatments that deliver immediate and long-lasting results. With a distribution network in over 60 countries, Pollogen is providing innovative solutions to medical professionals globally. Lumiere Medical, the premier U.S. distributor of innovative, science-based, clinically validated technologies, presents new revenue opportunities for its customers while providing results which consistently deliver high patient satisfaction. The exclusive U.S. distributor for Pollogen Ltd., Lumiere has recently added the Apollo TriPollar RF device to its distribution network, offering safe and effective anti-aging treatments with both immediate and long-lasting results.